Contrary to conventional relay-based systems that cannot obtain certification to meet IEC 61508/JIS C 0508 functional safety standards, the ProSafe-RS safety instrumented system enabled the construction of an emergency shutdown system that could be certified by a registered certification body. ProSafe-RS is not the first safety instrumented system for JX Nippon Oil & Energy Corporation and the company was already convinced that the new system would require a lot fewer man-hours for maintenance than relay-based systems. The new emergency shutdown system had to be installed in a limited space next to the existing instrument panel, and the compact ProSafe-RS was a perfect solution. The new system is designed to flexibly accommodate future improvements and extensions. "We began test runs of the system in December 2005 and it' been fully operational since March 2006. Conventional interlocks use hardware relays. However, we employed the ProSafe-RS safety instrumented system because it is compliant with the IEC 61508/JIS C 0508 functional safety standards. As safety instrumented systems ensure safety more reliably and are more scalable than general relay-based systems, they will be increasingly employed for emergency shutdown systems in the future. Safety instrumented systems can directly deal with contact inputs/outputs as well as 4-20 mA DC and other analog signals from transmitters. This can eliminate the need for alarm configurators and reduce necessary man-hours for periodic maintenance work. 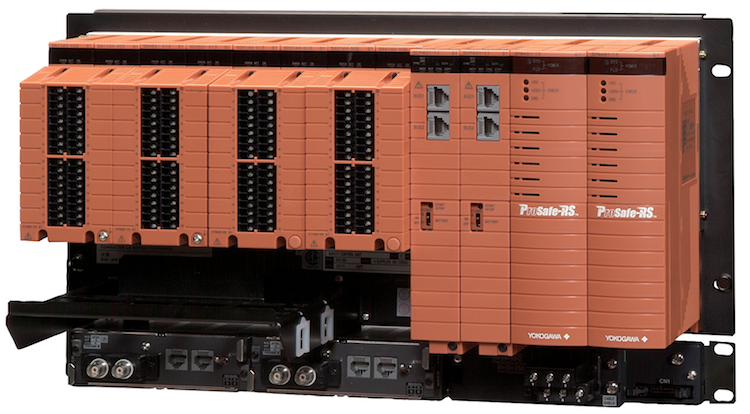 Our ProSafe-RS system has improved reliability by incorporating redundant CPU and I/O modules to avoid unnecessary trips triggered by system abnormalities, not by true safety concerns. Modbus communications with the CENTUM CS for data monitoring are also redundant. We feel that safety instrumented systems are becoming essential in emergency shutdown systems in Japan and in other countries, and that we must add corporate value by further strengthening plant safety."